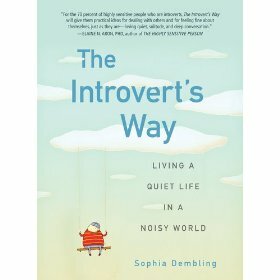 I met author and blogger Sophia Dembling online at the start of the wave of introvert attention. I love her book The Introvert’s Way, a laugh out loud treatise on the inside experience of living as an introvert. 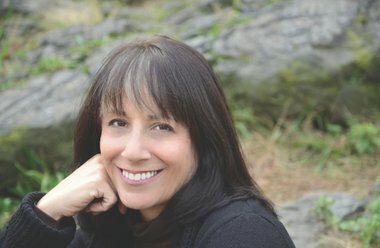 She also wrote a great piece called, “Nine Signs You Might Be An Introvert” that might help many of you answer the perennial question about your introvert identity:) Am I one? We had the chance to meet in person in her adopted home town of Dallas, TX. and it was like we had always known each other. She didn’t “appear” introverted in the stereotypical sense. Outgoing, verbal and funny, we joked that she would go back home and take a nap after our time together. I found myself returning to Sophia’s quotes when writing Quiet Influence. She is a very wise woman. “In all my reading, writing, and talking about introversion, I’ve discovered that the more familiar I become with my own introversion, and the more my choices consciously factor it in, the easier it is to do things that once were odious. Knowing I’m not required to answer the phone makes it easier to answer. Our evolving understanding of introversion shines an entirely new light on our behaviors. And they look a lot better than they used to. Among the many things I’ve learned through comments on this blog (referring to her popular Psychology Today blog) is that introverts are different as snowflakes. Our thresholds for energy depletion, our motivation to interact with people, certainly our interests and abilities, all vary wildly. But we also have many broad similarities. And what we know about introverts in general provides an interesting framework on which to structure our behavior for maximum effect. That’s what Quiet Influence is about. It pushes back against the not-so-truism that you have to be an extrovert to succeed, and discusses ways introverts can consciously play to our strengths. I love the idea of a quieter, calmer, more thoughtful world. Who knows, Sophia may just be right. This entry was posted in introvert, Jennifer Kahnweiler, Quiet Influence and tagged introvert, introverted leader, jennifer kahnweiler, Psychology Today, Sophia Dembling on May 3, 2013 by Jennifer Kahnweiler.